My aquarium has baffle slots only at the top, does this help or still work? Yes. Aquariums built before 2016 may have baffles with water flow slots at the top of the filtration chamber. 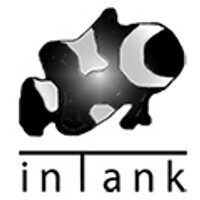 inTank made Fluval aware of their design error and they have since corrected. All aquarium built after 2015 should have the chamber one baffle reversed with water flowing correctly underneath into chamber two. The inTank Media Basket will function in both configurations. It greatly improves Fluval's mistake on early builds. Why does the Media Basket not take up the entire first-intake chamber? The Media Basket is designed to fit under the intake grate as that is the maximum size needed to capture and filter incoming water. Manufacturing the Media Basket wider to fill the entire chamber would not provide any better filtration, and would GREATLY increase the cost of the product as quality acrylic is very expensive. We also understand some customers install a heater next to the media basket.